1. 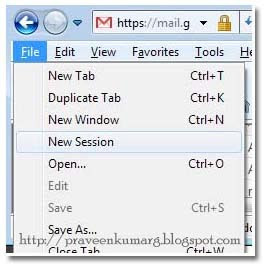 Open Internet Explorer 8 and login to your Gmail account. Make sure the Stay signed in option is unchecked when you sign in. 3. This will open a new Internet Explorer session. 4. Now open Gmail and sign in with different account. Thats it !!! Enjoy all your Gmail Accounts.